One night at after a memorable show at The Hideaway in south London where Tony Kofi was performing one of his rare and magnificent homages to Ornette Coleman, he told me that in addition to his usual rich variety of other engagements, he was also working with; singer Jo Harrop’s Peggy Lee tribute; an Alice Coltrane project with harpist Alina Bzhezhinska; and an organ/guitar/drums combo, named The Organisation. Everything he does is out of the top drawer. There you have it. 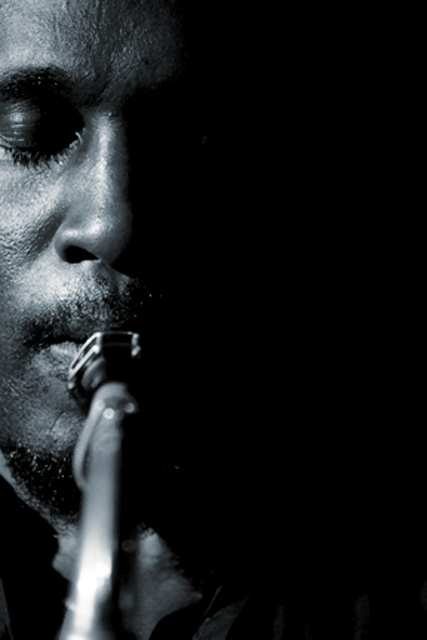 It’s almost impossible for jazz musicians to earn a living just doing one thing. For most record companies, it is equally unfeasable to justify the investment in speculatively recording these gems. But as a fully paid-up member of the “not most record companies club” guess what? Here’s my fourth studio album release by this great British sax player. Having seen him in action with The Organisation, I gave the outfit two days in the studio to see what would happen if they came in and cut it live immediately following a London gig while they were all still in the frame for it. No overdubs…no safety net. Day one was to get set up and settle in. Day two was the session. With the inimitable Paul Riley engineering, they cut eleven tracks straight off the bat. I told Tony that we would just leave the takes as they were and come back to them sometime later. These were the last recordings made in Specific Sound at Proper as I closed the studio shortly afterwards and relocated the business to Dartford. Tony continued his busy schedule on numerous projects and I thought that was the end of it. I had told him that unless he and the guys devoted some time to getting a run of dates with this unit, there was no point in me releasing it as an album. It’s funny how the passage of time affects the senses. When I got a call from Tony several months later asking if he could listen to the tracks and telling me that he had successfully started to fill an autumn 2018 date sheet for the quartet, I took another listen and was genuinely pleased with what I heard. I asked Paul to do a bit of work on the balances and Tony came over to the house for a listening session, which resulted in me agreeing to release the album.